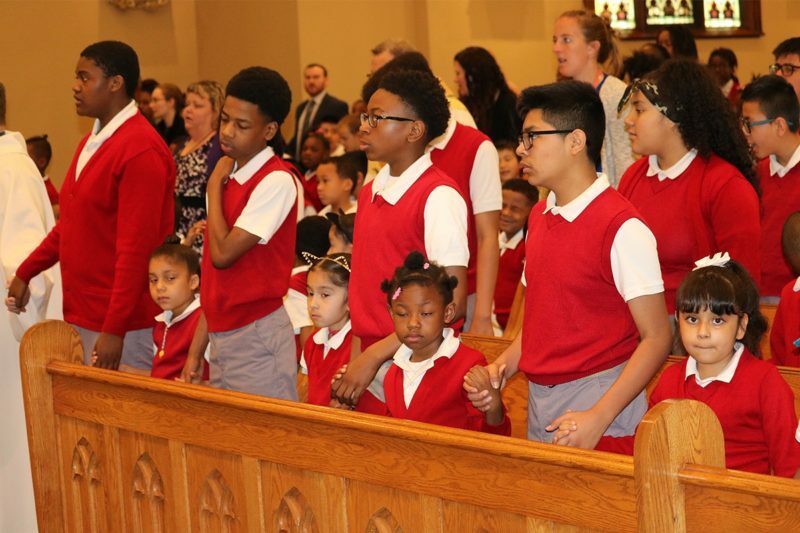 Ascension Scholars attend mass together each month. Each scholar leaves our school understanding that he or she is a beloved child of God. All of our faith formation lessons and everything we do as a Catholic school comes down to that. All families are welcome at Ascension, and all faiths are respected. Every class has regular religion lessons with their teachers, supplemented by occasional teaching visits from Ascension’s Pastor, Fr. Dale Korogi. The school body as a whole prays together each morning. Scholars and staff attend mass together once a month. A scripture passage is designated each week, and scholars are encouraged to memorize it and learn the character trait that it encourages. These are listed in the weekly newsletter. Our program for social-emotional learning reinforces the lessons scholars receive in faith formation. The cornerstones of the program include honoring the absent; see the problem, own the problem; communicate "you matter;" help others succeed.